Meetings are a mandatory part of every working organization. There are several kinds of meetings held depending on the business type, and for each meeting, agenda has to be decided beforehand. 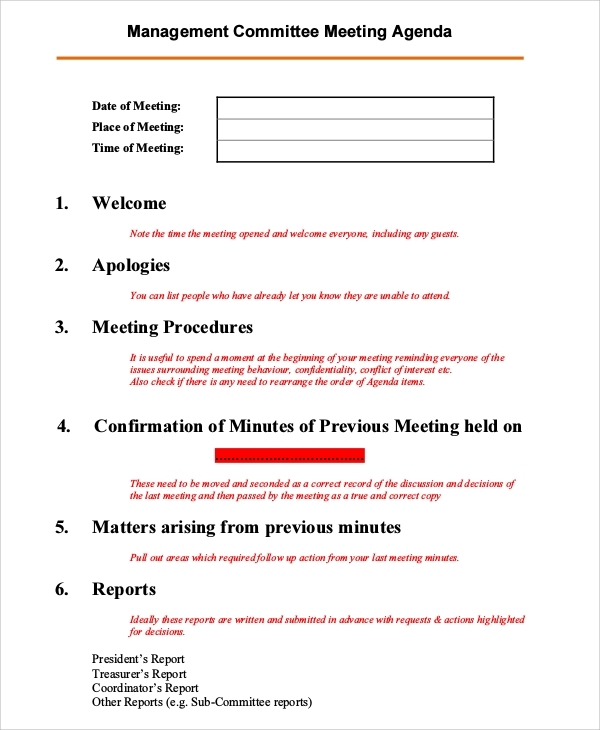 The following meeting agenda samples will give an idea of how to prepare a professional agenda so that no point gets missed. 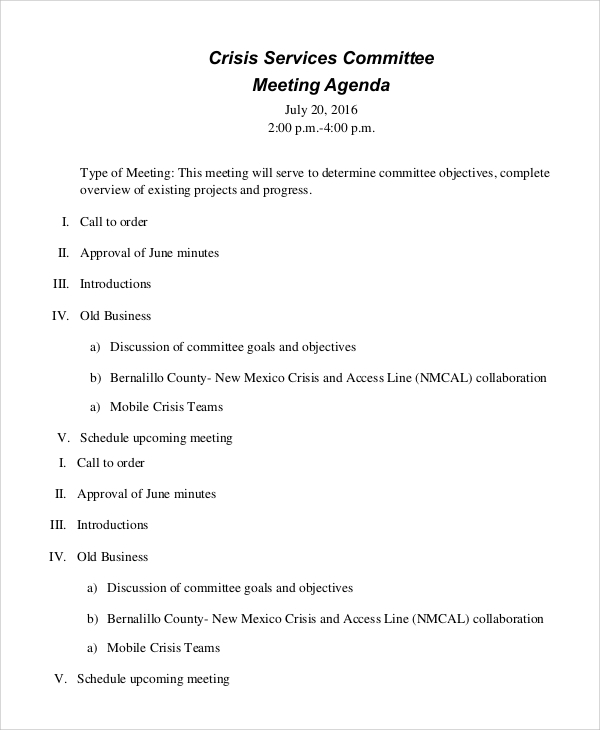 There are different types of Sample Agenda based on the types of meeting and the committee attending them. 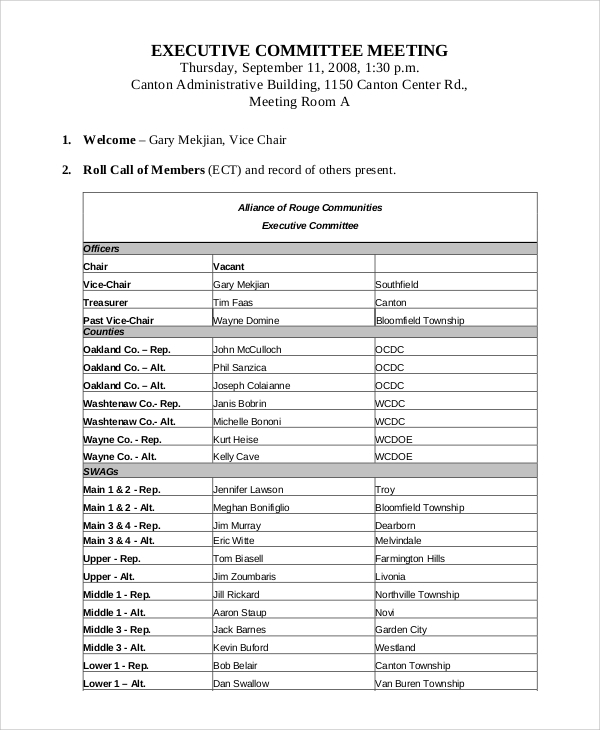 This is an agenda sample for an executive committee meeting. Executive committee meetings are held only a few times in a year and hence, agenda of the meeting must be set perfectly. It clearly defines the role of the members, points to discuss, reports to produce, discussion on important issues and deciding about the next meetings and their subjects. This is sample agenda for a management committee meeting within any company. Such meetings are held once in a while and agenda list plays an important role. It has all the necessary provisions in the form of templates like welcome, meeting minute, matters to discuss, reports to provide, business discussion and deciding the agenda for next meeting. You can also see the Sample School Agenda. 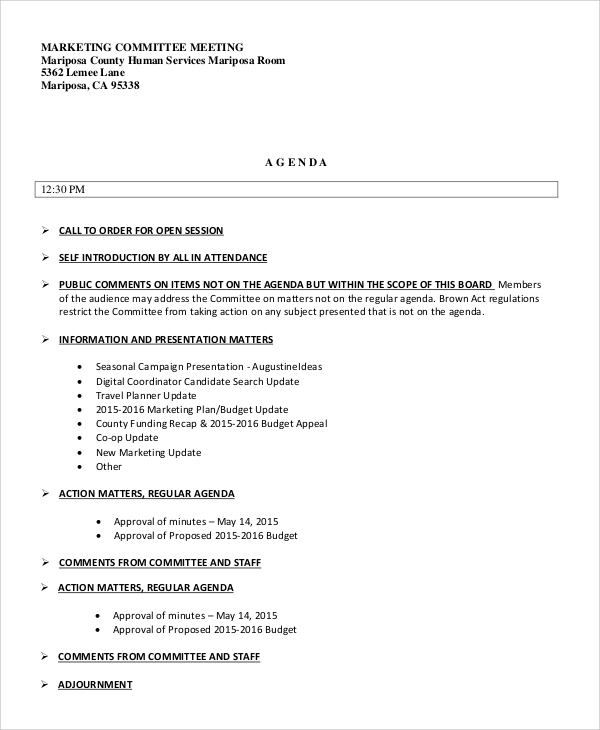 This is a marketing committee meeting agenda sample that can be used as a reference whenever such meetings are held. It contains headlines like a call to open session, self-introduction, public comments on items, information and presentation details, plan of action and comments and opinions from members. Every professional meeting has to have an agenda that is set before the meeting takes place. Meeting agenda are given to the attending members beforehand to prepare themselves to speak on particular topics and throw light in discussion issues. A meeting agenda has to cover all the necessary points, and the provided meeting agenda samples can be used as a reference. There are different types of agendas like Board Meeting Agenda, sample staff meeting agenda and likewise. They help to run the meeting smoothly and get the desired outcome. 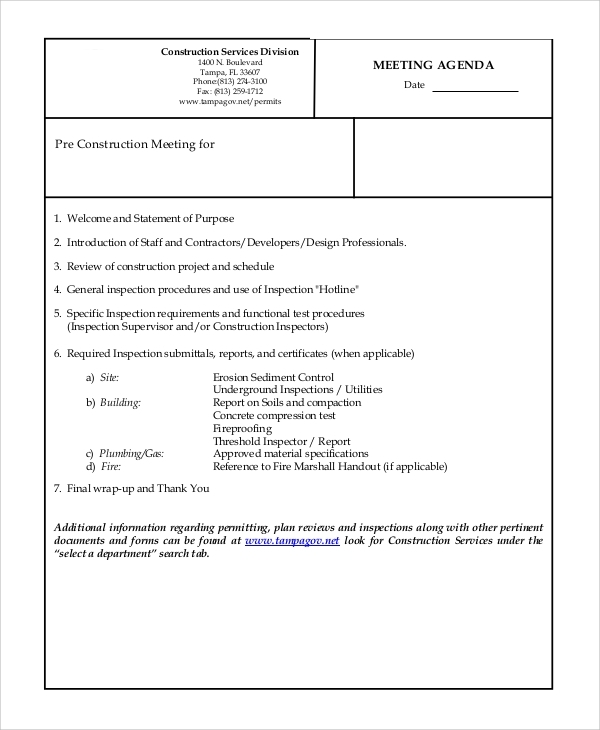 This is a sample agenda for a meeting held before construction of a project. The agenda sample contains the purpose of the meeting, members to attend, review of the project, inspection and dissection of the procedure, functional requirements, and estimations, and the items required for the demonstration such as models, structures, maps and drawings. 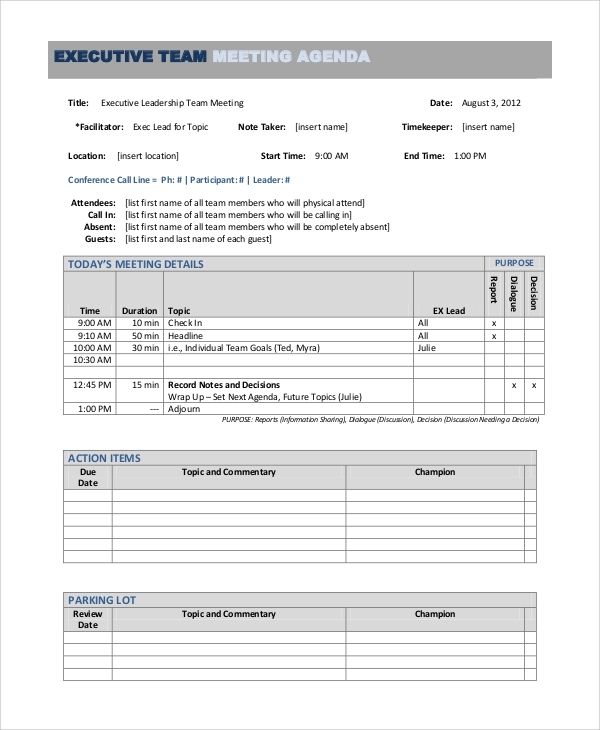 This is a perfect meeting agenda planning sample. It has all the necessary fields and points to ponder. It has provisions to write down the meeting minutes, persons in charge and attendance, announcements, reports and refreshments details. The targeted audiences for Agenda Samples are the working organization where meetings are a necessary part. 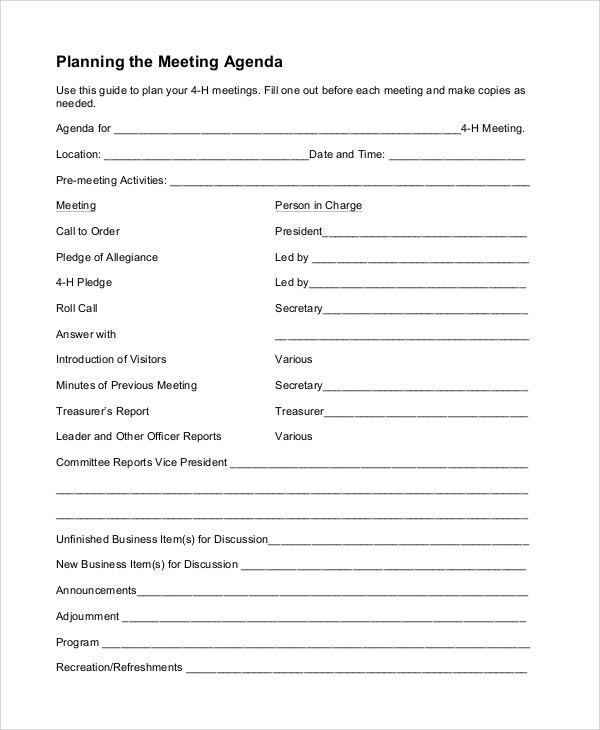 There are board meetings held annually, executive meetings, staff member meetings, management meetings, planning meetings and much more which are held periodically. Hence, they are useful for companies, banks, educational institutes, financial institutes, organizations and every industry. Even government officials have to hold meeting regularly to discuss the progress and different vital issues. 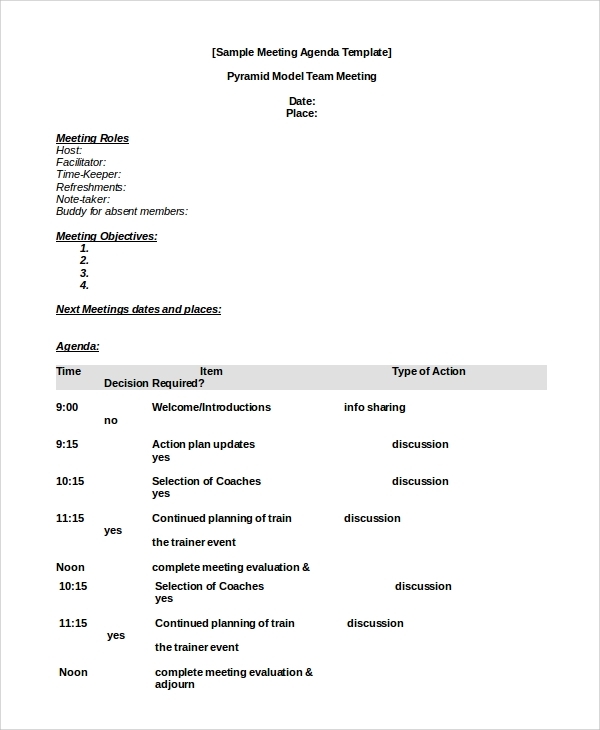 The above-listed Meeting Agenda Samples for different types of meeting within a working organization are perfect and professional. 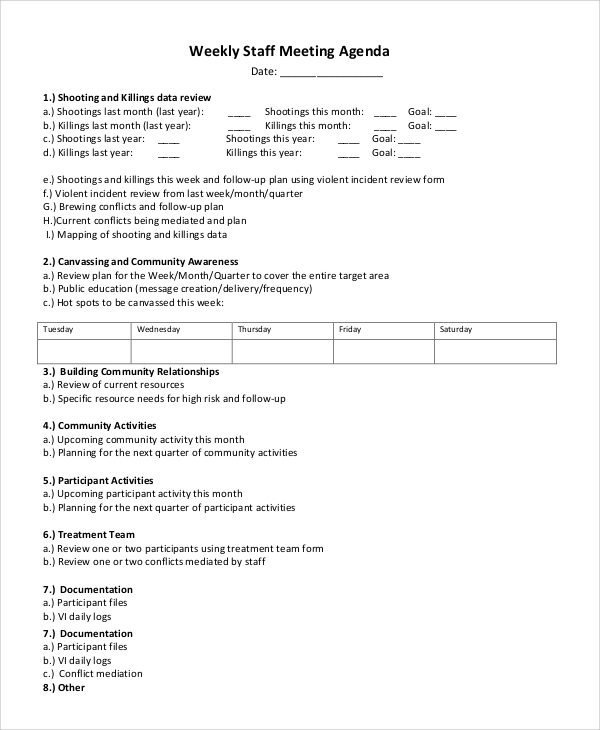 They are in template formats and all one needs to do is fill them up with the consultation of the members of the committee attending the meeting. Such agendas are sent to the attending members so that they can go through them and prepare themselves for the meeting and throw light on the issues.